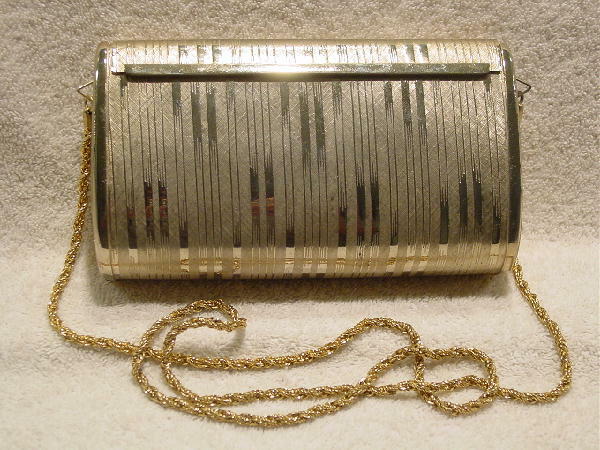 This vintage gold-tone metal purse has a small lip closure, which you lift up and the purse opens. 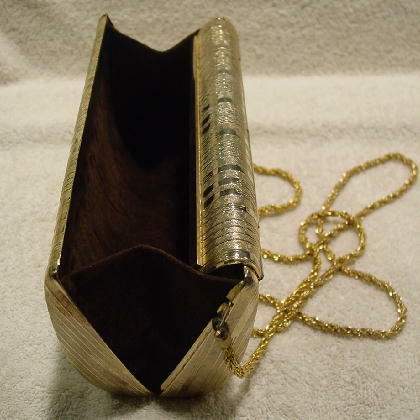 It has a dark brown velvet lining and was made in Italy. It has quite a bit of weight to it. 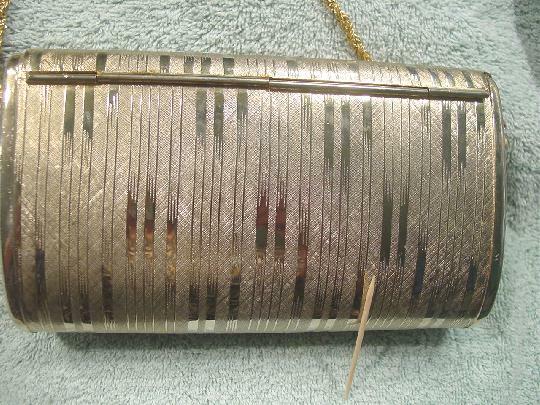 There is a really pretty gold-tone twisted 40" long chain. The surface has a thin elevated line design with solid areas in between. 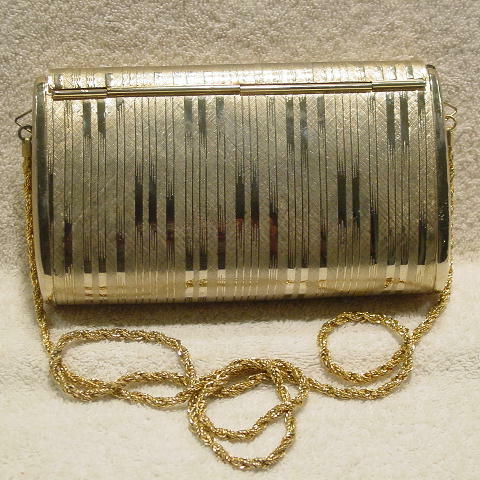 The back of the purse has some dull areas on four of the vertical shiny strips and on the right back side rim. 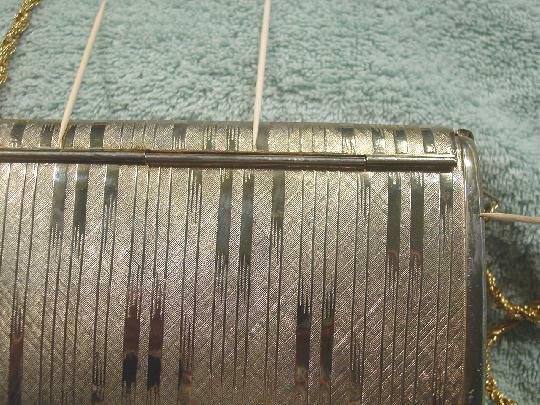 There is also a small greenish (tarnished) spot on the lower area.